Black oak is a common tree on the dry uplands of eastern forests. Like most other red oaks, it has spiny, pointed lobes. Its acorn is oval or rounded and enclosed for about half its length in a deep, scaly, bowl-shaped cup. In spring, its unfolding leaves are a deep red and then turn silvery within a few days. 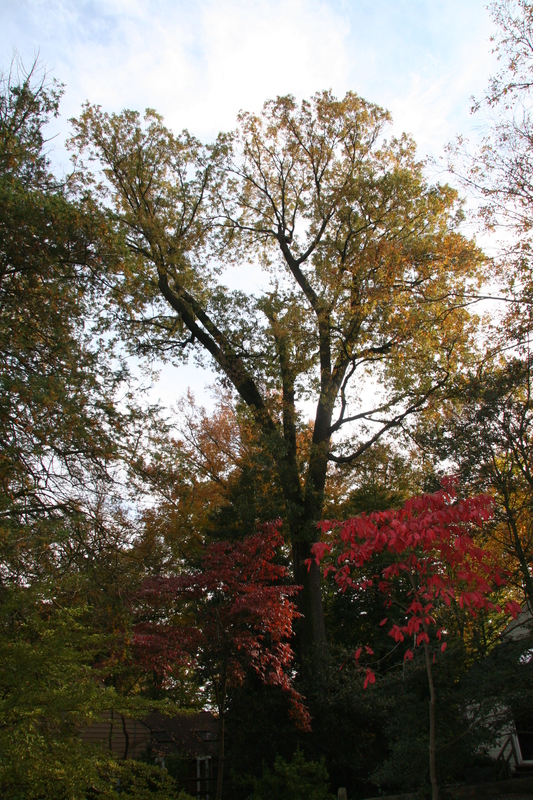 Older trees can have thick, black bark that is deeply divided into broad, rounded ridges. Black oak leaves are variable in form with 7 toothed lobes (can be 5) that are sometimes divided nearly to the midrib by rounded sinuses.